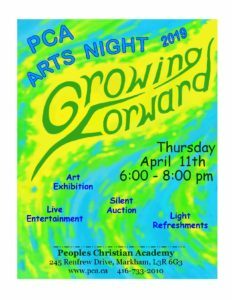 On Thursday, April 11th from 6pm-8pm, PCA will be hosting Arts Night! 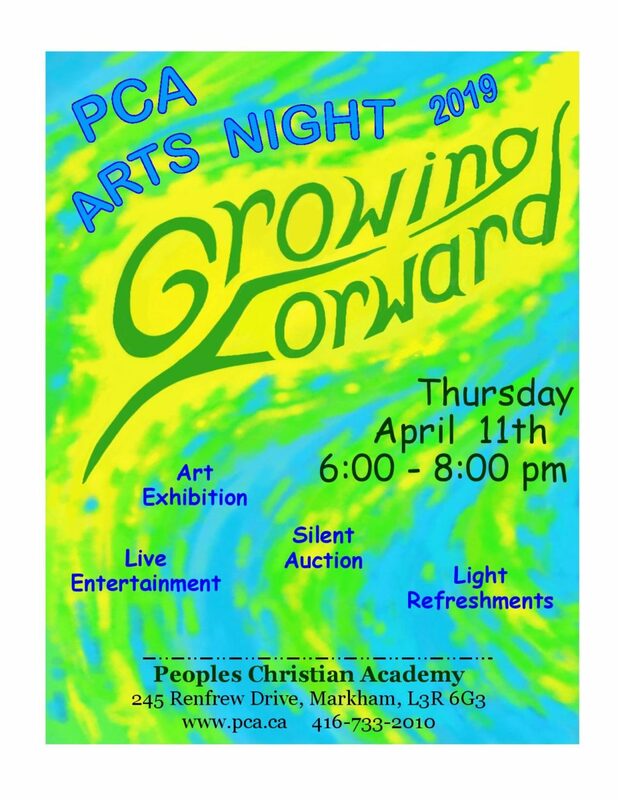 The theme is “Growing Forward”, and our large gymnasium is going to be transformed into a beautiful art gallery, where a selection of our students’ works will be on display, along with live music performed by our talented musicians, for all to enjoy to the glory of God! You will also have a chance to bid on the amazing artwork through silent auction. All proceeds will contribute to our “raise the roof” project. So, please spread the news and bring family and friends out for an evening of family fun and entertainment to celebrate our students’ artistic gifts and talents, while also supporting your wonderful school ministry’s timely opportunity to continue to flourish in its mission and purpose of preparing the whole person to reach the whole world for Christ as we “Grow Forward”! Congratulations to Middle School Battle of the Books Teams!Congratulations ACSI Speech Meet Team!